In co-operation with Letech Machines, Slagelse, ConTechPro has built a fully automatic valve assembly line. Valves are assembled by use of small parts of highly varying materials, color, size, and shape, all of which fit perfectly with each other. 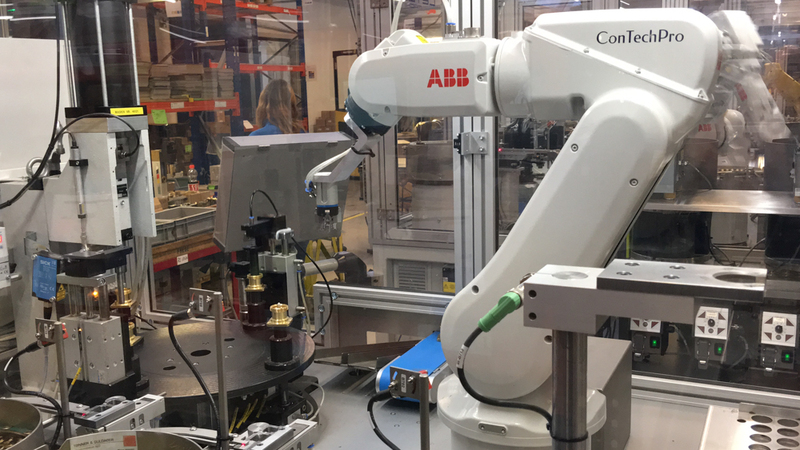 This, quite demanding, assembly task has been accomplished in two phases by using two ABB robots: IRB-120 and IRB-140. 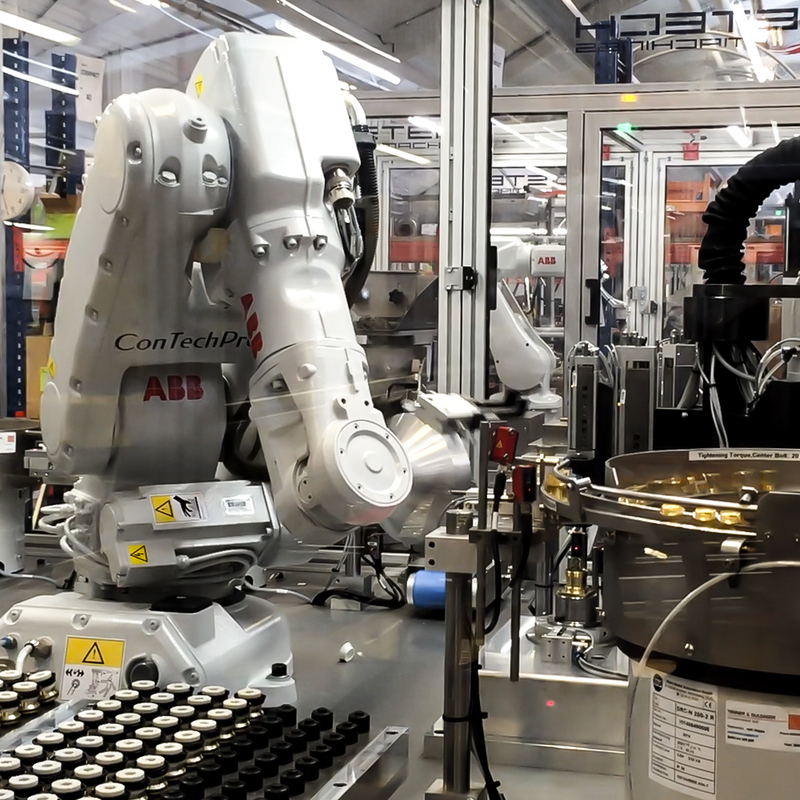 Both robots were equipped with specially designed multi-gripper tooling. An important step, already in the early design phase, has been the simulation of robot movements by use of ABB’s simulation tool RobotStudio. The simulation process was used to verify the robots reachability. Consequently, the layout was somewhat modified well in time before the machine was built. This has allowed the layout to be adjusted and proved, in due time, before the machine was actually built.